The Skilled Migrant Category (SMC) for residence in New Zealand works on a points system. If you earn 100 points or more, based on criteria such as qualifications, work experience and New Zealand job offer, you can submit an Expression of Interest (EOI) into the SMC pool. Every two weeks EOIs are ranked, a selection is made from the pool, and selected people are verified and invited to apply for residence. Each selection is adjusted to make sure enough applicants are selected to meet the annual number of places set under the residence programme. Currently EOIs with 140 points or more are selected automatically from the pool. Applicants who score between 100 and 135 points and have a New Zealand job or job offer are selected next, followed by people who have qualifications or experience in an occupation on out Long Term Skill Shortage List. Your EOI remains in the pool for six months. If it is not selected within that time, you are able to try again. However you may be able to get a temporary work visa and apply for residence at a later date via either the Skilled Migrant Category or Work to Residence policy. People who are eligible for a Talent Visa are able to apply for New Zealand residence after they have worked here for two years under the Work to Residence policy. Talent Visa applicants must either have a job offer from an Accredited Employer, have an exceptional talent in arts, culture or sport, or experience and skills in an occupation on the Long Term Skill Shortage List. The Long Term Skill Shortage List contains recognised occupations that New Zealand needs skilled people to work in. Visit www.immigration.govt.nz/ltssl to see those occupations. 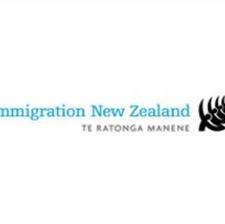 Many employers accredited by Immigration New Zealand are listed at www.immigration.govt.nz/accredited. People with exceptional talent in Arts, Culture or Sport sponsored by a New Zealand organisation of national repute may also attain a Talent Visa. Young people aged 18 to 30 years from the UK, Ireland and many other countries may apply for a Working Holiday Visa. This is a temporary work option which allows people to get a taste of living in New Zealand. Conditions vary depending on your country of residence. You can find more information on New Zealand immigration options at www.immigration.govt.nz.